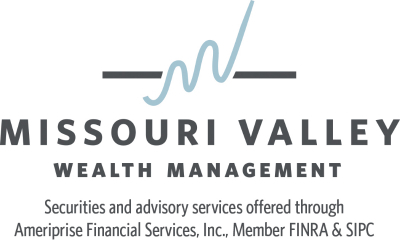 Missouri Valley Wealth Management, a subsidiary of Bank of Franklin County, offers an investment services program through Ameriprise Financial Institutions Group, a channel of Ameriprise Financial Services. Through on-site financial planning and investment solutions, they partner with us to help you reach your financial goals. Our Financial Advisor, Paul Goeke, is available at our Washington, MO branch location to speak with you about your financial goals. We care about what matters most to you. That’s why we’ve established a relationship with Paul Goeke, who dedicates his practice to helping you achieve your financial goals. Together, you and your advisor will evaluate your financial life to see how it all fits. From there, your advisor will work with you to address key needs, consider tax strategies and find ways to help fill any gaps that could keep you from achieving the lifestyle you want. Through personalized financial advice, your advisor will help you prioritize what’s important today, while planning for a confident financial future. Call our office at 636.231.3836 to schedule your complimentary consultation. References to financial institutions are solely to indicate location. Any financial institution referenced is not affiliated with Ameriprise Financial, Inc.
An advisor who understands your retirement planning includes enjoying today.